Fresh off this week’s news that the Russo Brothers will be retuning for the third Captain America movie, Thor 3 (a.k.a. Th(ree)or) also took a major step forward. Marvel announced the script will be written by Christopher Yost and Craig Kyle. Yost was one of the writers on Thor: The Dark World, but this script will be a first for Kyle, who was a producer on the previous two Thor movies. Yost and Kyle have worked together before on several Marvel animated series, and the X-Men, X-Force, and X-23 comics. So, the takeaways are: 1. 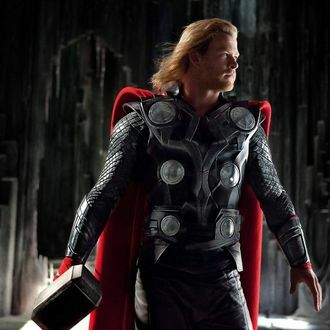 There will be another Thor movie, meaning he won’t die in The Avengers: Age of Ultron and 2. Marvel, as a company, has a lot of opportunities for advancement.